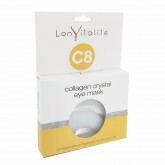 Essentially made of pure natural extract and collagen composition, the masks are an innova..
Penetrates into the deep layers of the skin to strengthen the underlying layers. Coconut oil is well..
Lonvitalite's Coffee Mask is rich with vitamins and minerals that penetrate into the skins layers to.. 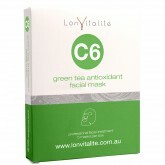 The Lonvitalité C6 Green Tea Antioxidant Facial Mask is formulated with Green Tea e.. 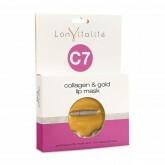 The Lonvitalité Collagen Lip Mask treatment helps to replenish your lips with natur..
Lonvitalité's C8 Collagen Crystal Eye Mask helps to eliminate dark circles and fine..
Lonvitalité's S1 Silk Sheet Mask helps to reduce visibility of pigmentation that can&nbs..
Lonvitalité's S2 Collagen Firming & Moisturising Face Mask helps in accele.. 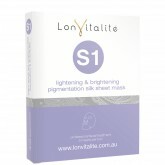 The Lonvitalité Red Wine Collagen Firming & Moisturising Silk Sheet mask is formulat..
Lonvitalités S4 Coconut Milk Hydrating & Nourishing Silk Sheet Mask works by penetra..